In September 2017, the plant in Lebanon, Ohio, U.S. has been selected as the 2017 Industrial Business of the Year by the Lebanon City Council. 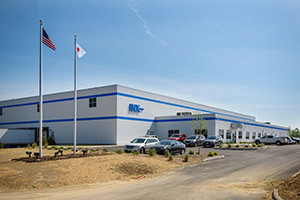 We are being honored based on demonstrated success in job creation, facility appearance, production expansion and commitment to the Lebanon community. We are committed to providing all customers with environmentally conscious high-quality products and services.